Lovely small brown and white stone found summer of 2018 on the Gaspe Peninsula, Canada. 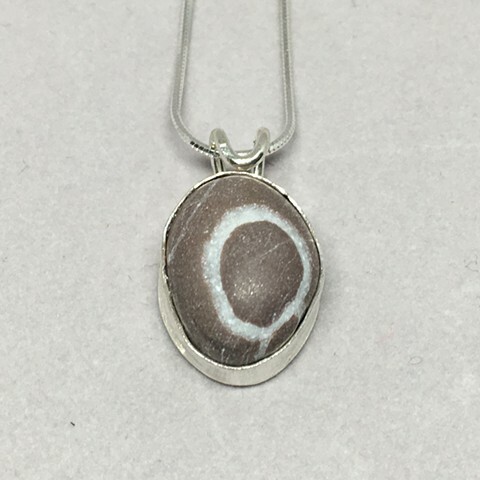 Set in handcrafted fine silver bezel. Choice of 16" or 18" sterling snake chain.